I LOVE rice and pasta, but having a delicious low-carb alternative is always a good idea. No, riced cauliflower doesn’t taste like rice, but it is delicious and the consistency satisfies my carb cravings. Add this as a side to a lean protein and some leafy greens and you’ve got yourself a healthy, tasty meal! Drizzle 1 tbsp olive oil into a pan on medium heat. Let the oil warm for ~1-2 minutes. 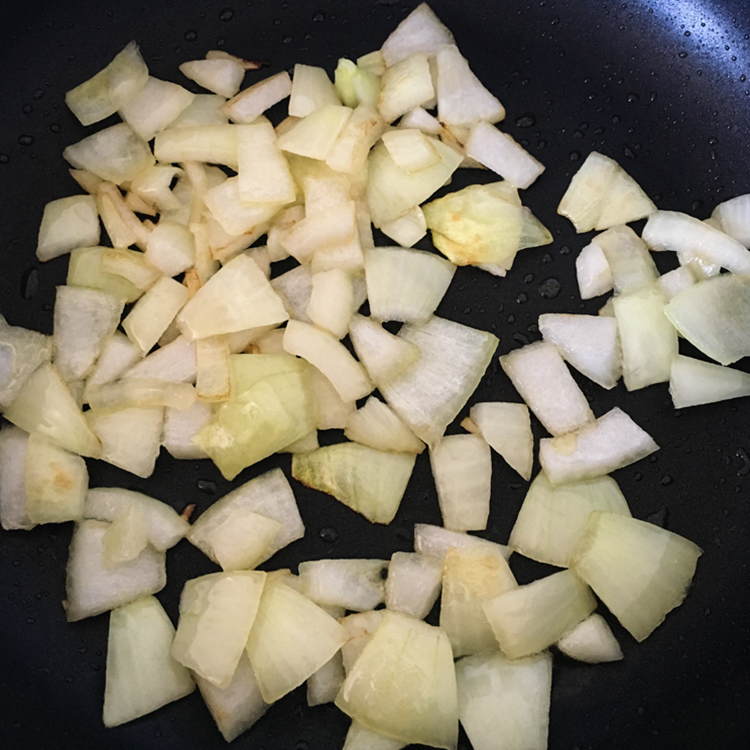 Add chopped onion to the pan and cook until onion edges begin to brown. Mix in riced cauliflower and reduce to low heat. Add ¼ cup water and cover with lid. Let simmer until cauliflower pieces begin to soften, stirring every 1-2 minutes. Once cauliflower is softened (not completely soft, but soft enough to not be crunchy), remove from heat. Squeeze lemon over cauliflower and add salt, pepper, and garlic salt to taste. Show me how you serve up your dish of Lemon Cauliflower Rice by using the hashtag #HMBgirl on Instagram. Enjoy!